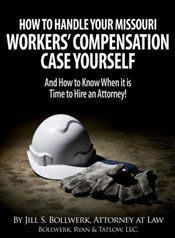 St. Louis Accident Lawyers | Missouri Workers Compensation Attorney | Bollwerk & Tatlow, LLC. We fight like the big firms, but provide our clients the personal service of a small firm. Trust, Competence and experience are three important qualities in an attorney.Paul B. "Phil Tatlow is the first person I would call for any future legal issues/concerns. "Ed V.
Phil's expertise "led to my being awarded the funds we were initially requesting, plus having his fees covered by the insurance company." The legal system can be intimidating, no matter who you are. If you have lost a loved one in a car accident caused by another driver's carelessness or if you are hurt at work, you know you are entitled to compensation. If you are injured by an uninsured motorist, or a driver whose insurance limits are very low, the process can be even more confusing. And if your work-related injury is so severe that you can no longer work, you need legal representation to help you get what you are entitled to not only from the workers' compensation system, but also from the Social Security Administration as well. But going up against bosses, insurance companies, and major corporations is not something you can do alone. 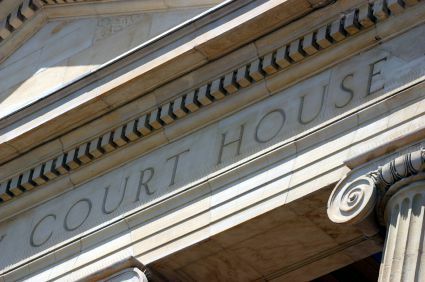 To fight the big cases you need a qualified St. Louis accident attorney who cares about your case. The technical language used by courts and insurance companies is difficult to understand even if English is your first language. If English is your second language, it is even more important to ensure that you understand every document and letter that pertains to your case. The St. Louis trial lawyers at Bollwerk & Tatlow are sensitive to the needs of our growing immigrant communities. When you work with us, we make sure that every detail of your case and every option is clear to you. Bollwerk & Tatlow is a St. Louis personal injury law firm, centrally located within thirty minutes of four county seats and their courthouses, and serving clients across Missouri and Illinois. The Missouri workers compensation lawyers at Bollwerk & Tatlow handle a range of practice areas including workers' compensation, motor vehicle accidents, defective products, and medical malpractice. Attorneys Jill S. Bollwerk and Phillip A. Tatlow, assisted by their talented and dedicated staff, will go to trial even against the biggest companies. Bollwerk & Tatlow has the experience, resources, and manpower to fight big cases because the St. Louis community has put its trust in our firm. We feel great when we help people who really need us. If you were injured while at work in Missouri or in Illinois, the St. Louis workers comp attorneys at Bollwerk & Tatlow can help you understand your worker's compensation claim and protect your right to fair compensation for your injuries and loss of income. If you were hurt or your loved one was killed in a Missouri or Illinois car, truck, or motorcycle wreck, whether the accident happened in downtown St. Louis or on I-170, on Highway 40 or I-255, Bollwerk & Tatlow can help you with your accident claim. Jill Bollwerk worked briefly as a trial attorney for a major insurance company. As a former insider, she knows the strategies that insurance companies use to push you toward a settlement that is less than fair. And she knows how to push back. With offices located only ½ block from the local Harley Davidson dealership, the St. Louis trial lawyers at Bollwerk & Tatlow know the motorcycling community and will be happy to handle your motorcycle accident case. A defective product can be almost anything that causes you or your family harm because it doesn't work properly. Cases can include automobile defects, motorcycle helmet defects, defective medical devices, clothing and safety equipment defects, and more. At Bollwerk & Tatlow we care about our community. Our tough but compassionate personal injury attorneys are proud to protect injury victims and give them the support they need. The St. Louis workers comp attorneys at Bollwerk & Tatlow also have strong ties to many local unions. When you work with a Bollwerk & Tatlow trial lawyer, you will always be in contact with someone who understands your situation and knows your case. Please call Bollwerk & Tatlow at 314-315-8111 (toll free at 877-315-8111) or fill out our online contact form to schedule a free consultation. St. Louis. St. Louis County: Clayton, Chesterfield, Kirkwood, Florissant, Oakville, University City, Mehlville, Wildwood, Ballwin, Affton, Maryland Heights, Hazelwood, Webster Groves, Brentwood, Lemay, Bellefontaine Neighbors, Manchester, Town and Country, Ferguson, Glendale, Creve Coeur, Maplewood, Bridgeton, Ladue, Jennings, Saint Ann. Jefferson County: Arnold, Festus, Murphy, Barnhart, De Soto, Fenton, Byrnes Mill. St. Charles County: O'Fallon, St. Charles, St. Peters, Wentzville, Lake St. Louis, Weldon Spring. Franklin County: Washington, Union, Sullivan, Pacific, Saint Clair. Warren County: Warrenton, Wright City. Lincoln County: Troy, Elsberry, Moscow Mills. Boone County: Columbia. Southern Illinois.